Stylishly distinctive music for all occasions. 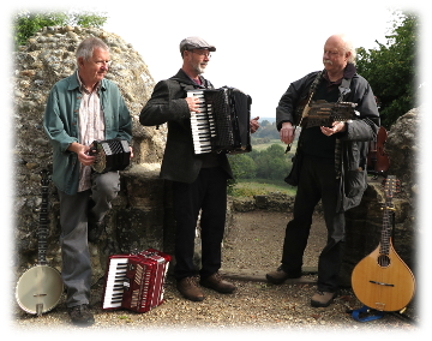 A huge repertoire of varied material including original arrangements of traditional tunes and new compositions. 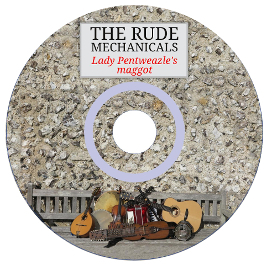 The Rude Mechanicals are a Sussex-based multi-instrumental trio (occasionally augmented by musical pals to form larger bands) playing a very wide variety of music. 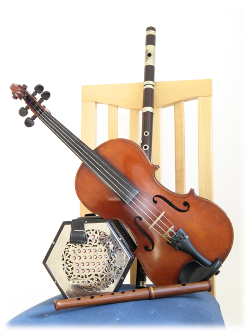 Their material is mostly from the English, European and American folk heritage but often spans other musical traditions. Catchy tunes, stylish playing, great entertainment. A superb album with 21 tracks of musical gems from the traditional archives of the UK and elsewhere, specially arranged for a variety of instruments.